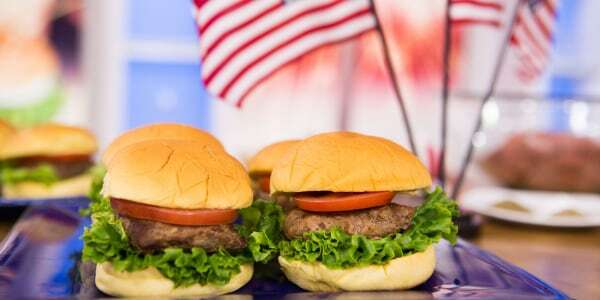 In all our patriotic glory, we're ready to serve up one of our all-time favorite burger recipes. 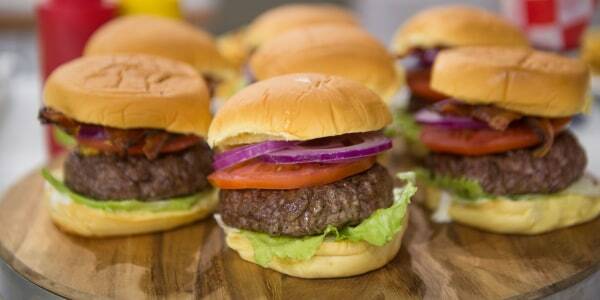 What's in your best burger recipe? Do you stick to the basics when it comes to your burger or prefer something cuter like this Pokemon burger from Down Under? Or, maybe you like something that bites back? In that case, there's always the roasted tarantula burger — yes, it's a real thing! 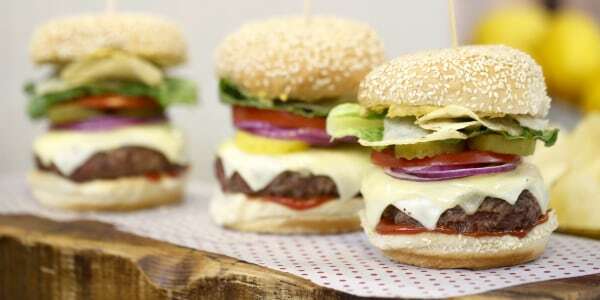 Whatever you fancy when it comes to the best beef (or chorizo, veggie or chicken) burger, these delicious burger recipes will keep guests happy throughout grilling season. Why not mimic the burger favored by Adam Rippon, Ina Garten and Guy Fieri? This copycat In-N-Out burger is so good, you'll be going animal style in no time. 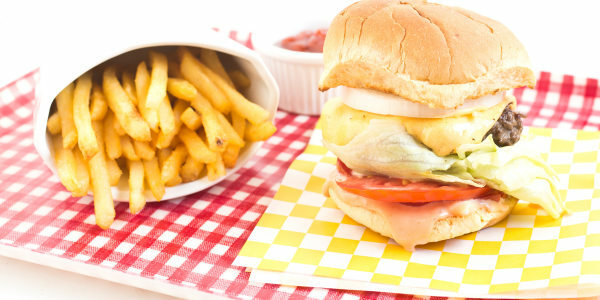 Give your burger a little extra love with a California-style treatment by topping it with Gruyere, cumin and green chile sauce. Cheddar. Bacon. Ranch. 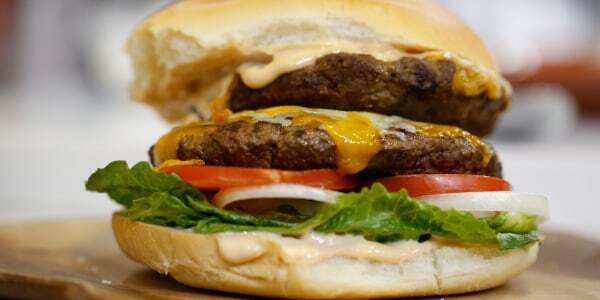 This easy and cheesy burger just may be the American dream. Want something lighter yet still flavorful? 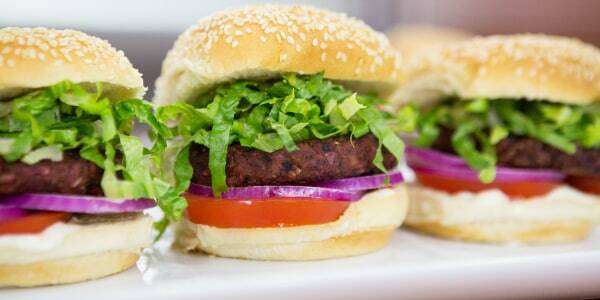 Try this black bean burger with a hoisin glaze. It's packed with protein, fiber, iron and many other vital nutrients. Plus, it tastes amazing! 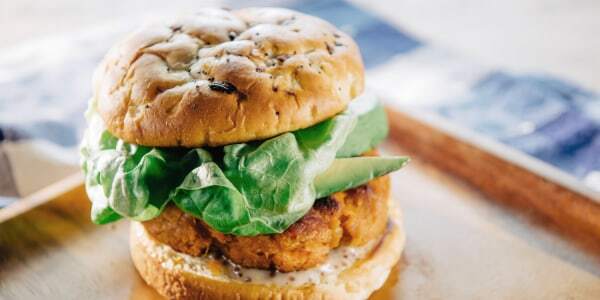 Trisha Yearwood's sweet pea burgers have a garbanzo bean and sweet potato base, and are tasty as they are sweet. She serves them on onion burger buns to balance the sweet with a little savory. 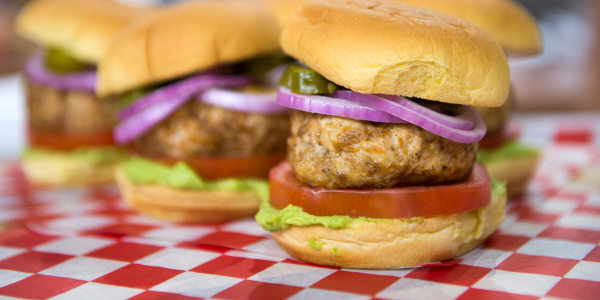 This flavor blast of a burger uses ground chicken and chorizo instead of beef. The chorizo keeps the chicken meat extra moist during the grilling process, but you can swap in sweet Italian sausage or ground turkey if you're prefer a less spicy burger. 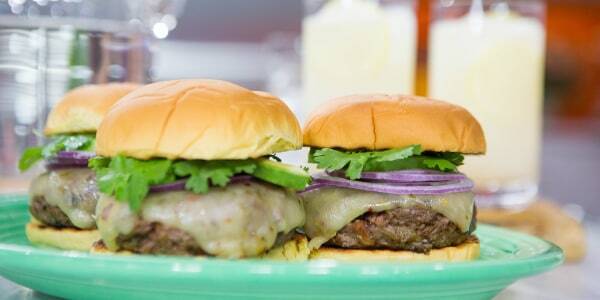 For all the pickle lovers who prefer a crisp sensation over a pickle juice slushy, Bobby Flay's burger recipe is the one for you. This is the one, the only, the perfect "crunch" burger. The secret to this burger's over-the-top flavor is in the center. Hiding inside is a molten pocket of gooey nacho cheese dip. It's a little crazy, and totally delicious. Love a good bloody mary? This burger version uses everything from celery seeds to hot sauce to create a savory fix to sink your teeth into. 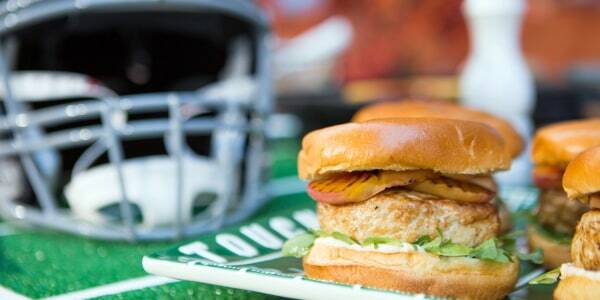 This turkey burger takes classic country flavors to the next level. Stuffed with crumbled bacon and topped with pepper jack cheese and grilled peaches, it's just the right combination of savory, spicy, smoky, sweet and juicy.